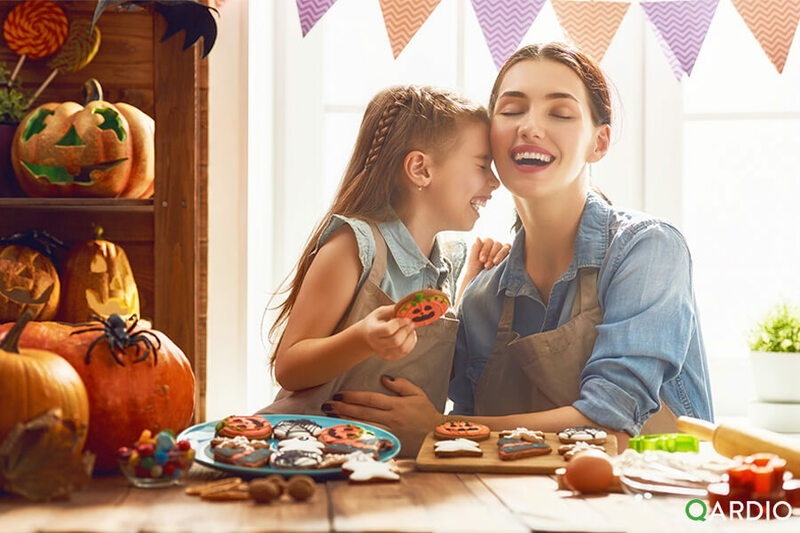 At Halloween, sugary temptation can be very hard to resist – and unfortunately for anyone trying to watch their weight, it can also take us back several steps in our journey to better health. We consulted Chicago based registered dietician Carly Trueger who gave us these seven common health pitfalls you should watch out for if you want to stay in tip top shape this fall. Sometimes, the small size of miniature candy bars convinces us we have permission to eat them – even though we wouldn’t eat a normal size candy bar. Snack size candy can be deceptive – usually containing 50-100 calories each, which can add up fast. You feel like you never get to enjoy fun foods. Allow yourself to splurge… only on Halloween itself! Keep the 31st as the only day you allow yourself a few sugary treats. Don’t eat candy all week (or all month) leading up to the holiday. It doesn’t feel like a holiday without your favorite treats. If you want to get into the holiday spirit, why not find something else that will help make the holiday feel more festive? For example, carve a pumpkin and roast the pumpkin seeds, decorate your house with Halloween decorations, or go to a haunted house. Buying Halloween candy as soon as it’s available. You buy your favorite candy to pass to the kids. When choosing candy to pass out on Halloween, definitely don’t pick your favorite or you may end up eating a little too much. Choose something that you know the kids will love but you won’t have trouble resisting. Limiting your intake of added sugars is important for heart health, regardless of the sodium content. In fact, numerous research studies indicate that avoiding/limiting added sugars is the most important lifestyle change you can make to stay healthy. Someone has placed a bowl of Halloween candy on their desk at work for everyone to enjoy. This can be especially challenging because you’ll have to resist the temptation all day long. Make sure you bring a healthy snack with you to work, so if you’re hungry you won’t head straight for the candy. Try eating a mint or chewing gum when you get up from your desk to keep your mouth busy when passing by the treats. Stay strong! Let QardioBase track your healthy habits this fall with goal setting and SMART feedback, allowing you to focus on healthy trends instead of numbers. Carly Trueger is a Chicago-based Registered Dietitian and Certified Diabetes Educator. She attended New York University to complete her nutrition coursework before completing her Dietetic Internship at Barnes Jewish Hospital in St. Louis. She has over 10 years of experience working with people to manage their illnesses with food and nutrition, at Northwestern Memorial Hospital in the acute care setting, NewYork-Presbyterian Hospital counseling patients with diabetes and heart disease, and at Prince Georges Medical Center focusing on gestational diabetes in an underserved population. She currently does clinical nutrition counseling at Northwestern University as part of an NIH-funded study on weight gain in pregnancy. 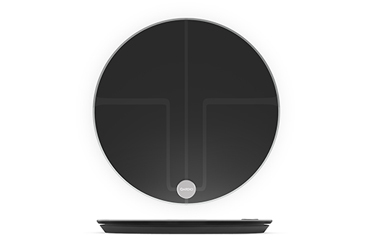 Smart scale & body analyzer.